Are you nervous for college? Worried about getting lost, or even off track? 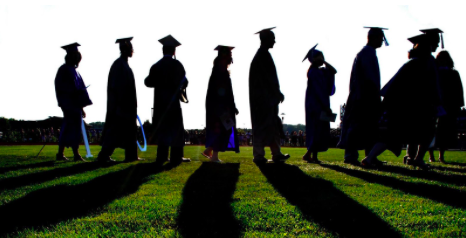 Here are ten useful tips to keep you on track and organized in your college years! 1. Go to all orientations. There are a lot of campus tours, even though they might be boring, you should go to all of them. The faster you learn your way around campus, the better you’ll feel, and the better prepared you’ll be when you have to get around campus. 2. Get to know your roommate and others in your residence hall. The people you live with, most of whom you are going through similar experiences and emotions, are your main safety net. 3. Get organized. In high school, the teachers tended to lead you through all of your homework and due dates. In college, the professors post the assignments, often for the entire semester, and expect you to be prepared. Buy an organizer, use an app, or get a big wall calendar, whatever it takes for you to know when assignments are due. 4. Find the ideal place for you to study. It may be your dorm room or a cozy corner of the library, but find a place that works best for you to get your work done. Try to avoid as many distractions as possible. 5. Go to class. It may be tempting to sleep in when you have to get up early. Avoid the temptation. Besides learning the material by attending classes, you’ll also receive vital information from the professors about what to expect on tests, changes in due dates, and more. 7. Meet with your professors. There are only upsides to getting to know your professors, especially if later in the semester you run into some issues. Professors schedule office hours for the purpose of meeting with students, take advantage of that time. 8. Get to know your academic adviser. This is the person who will help you with course conflicts, adding or dropping courses, scheduling of classes for future semesters, and deciding on majors and minors. This person is a key resource for you, and should be the person you turn to with any academic issues or conflicts. And don’t be afraid of requesting another adviser if you don’t click with the one first assigned to you. 9. Seek a balance. College life is a mixture of social and academic happenings. Don’t tip the balance too far in either direction. Plan it out so you can manage both at a good balance that works for you. 10. Get involved on campus. A big problem for a lot of new students is a combination of homesickness and a feeling of not quite belonging. Consider joining a group, student organization, club, sorority/fraternity, or sports team. You’ll make new friends, learn new skills, and feel more connected to your school. It’s that time of year, the flu is spreading and I bet you don’t want it. Here are some tips to help you prevent getting sick this year. “No matter what line of work you’re in, if you come in contact with people who are contagious, you have to wash your hands over and over,” says Alan Pocinki, MD. Pocinki practices internal medicine at the George Washington University Hospital in Washington, DC. It sounds so simple, but soap and water are the constant companions of doctors and nurses. To completely get rid of viruses from your skin, you need to scrub hard for 20 seconds or more. A good way to time yourself is to sing “Happy Birthday” twice while scrubbing the backs of your hands, between your fingers, and under your nails. It doesn’t matter if the water’s hot or cold — the very act of scrubbing will physically remove the germs. Arlington, VA, massage therapist Amanda Long asks clients to stay home if they feel bad. But to be safe, she sanitizes doorknobs and light switches between sessions. It’s a practice she swears by. Don’t shake their hands or get too close where they can cough on you, because chances are you could get sick from that. If you can’t get alcohol-based hand sanitizers just use soap and water. Sanitizer can kill cold and flu germs quicker and it’s more efficient. It happens to every writer. It’s inevitable. Your thoughts have turned to mush, you don’t have a creative bone left in your body, and you have nothing to do about it. 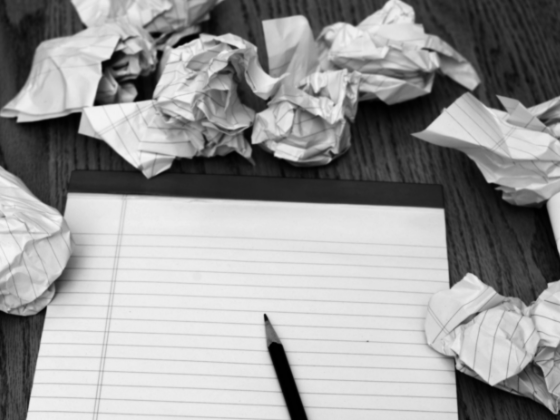 Read this article if you need ways to overcome writer’s block! Going for a walk will help your brain to take a break from thinking, and it will relax you. Going for a walk will also help with your creatively, for nature is so complex and will help you think about things to write about by simply looking at the world around you. Maybe move from a closed room to a more open room, it really will change your mood. By moving somewhere else to write it could give you different ideas from looking at the things around you. This will help you to get rid of the mad ideas, by crossing them off. This will also help you to really think and hopefully give you something good to write about. Many famous writers have daily routines to summon the Muse. This will help your train of thoughts flow. Calling an old friend could bring back so many memories, that you’ve lost, that could be things to write something about. Listening to music is really effective because its so creative. This could get your mind flowing and you could maybe even write about a certain song. Are you traveling to New York anytime soon and don’t know what to do there? 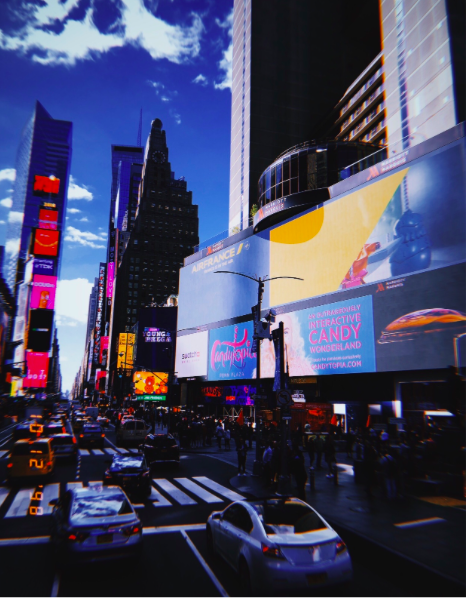 Here are some ideas of things to do around the city of New York to make your trip the best! Taking the Times Square double decker tour bus is so cool because you get to sit in the top of this high bus and see the city from a cool view, while learning about what’s around you. I recommended the company Top View for the tour bus. If there’s a rainy, or bad weather, day when you are on your trip I suggest going shopping in Time Square. They have the best stores and so many you can find anything and everything. Also, it’s fun to explore the different stores they have there. It’s fun to explore different cultures, so why not visit Chinatown. They have really cool shops to explore and good authentic Chinese food. If you’re looking for a good gift shop, I suggest going to Chinatown where they have really cute stuff there and for not too much. In the stores around the area, things will either be super expensive or super cheap, so it fits what you want to get. Here’s a tip: look out for scams in Chinatown. So many people will try to scam you on the street for your money. If someone on the street offers you something for a really high price, offer them a lower number and if they say no, start to walk away, and most the time they will give in. Don’t stay in your hotel’s restaurant, go travel around the area for some good places to eat. Time Square has some of the world’s best bakeries. Also, walking around helps you see the city and explore. The one and only Broadway is located in New York. Go out one night and see a Broadway show. They are truly amazing. I recommend my favorite show The Phantom of the Opera. New York’s Metropolitan Museum of Art is so pretty. I would highly recommend going to this museum to see so much history from the world. It also gives you access to the roof, where some art is, and it’s the prettiest view of the Upper East Side. Central Park is gorgeous. If you’ve been in the city your whole trip, I recommend going for a nice walk in the park. You can do a lot in the park. You can go on a rowboat in a small lake, or even go on a horse carriage ride. Also, if your looking for somewhere pretty to take pictures this is the place. While you’re in New York, why not visit and see the thing that makes it so special up close? Going on a ferry ride on the Hudson River to get to the Statue is a really cool experience. The ferry tour is very cool, but super windy if you go on the front deck, so I’d be careful of things flying away. The tour guides explain so much about New York, and actually explain other good places to visit and good places to eat. Are you looking for a good car to buy for your first car? Or a good car for a low price? Here is some information you might want to know beforehand. Are you a first time buyer or a college student? Take a look at these vehicles, they’re some top sellers with average prices at CarMax under $10,000 as of April 30, 2018. On a budget? 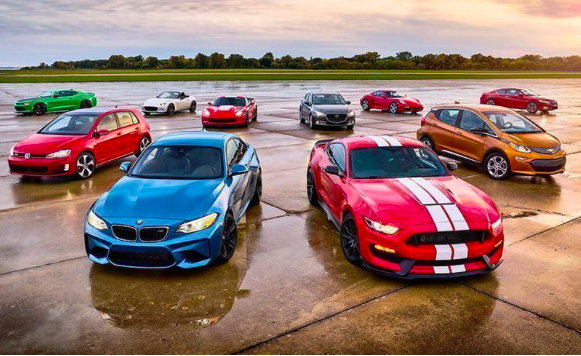 These five vehicles had average prices at CarMax under $15,000 (based on prices from January 2017 to December 2017) and were top sellers at CarMax in January 2018. Looking for something a little more luxurious? Check out these vehicles with average prices under $30,000, based on CarMax sales data from December 2017 through May 2018. Need to transport your youngster(s)? Or do you have a younger sibling you have to drive around? Check out these five car-seat-friendly best used cars. Are you a first time driver? Check out the best used cars on this list, based on CarMax sales from November 2017. Do you love driving cars with a stick shift? Here are some of the best standard transmission cars, based on available features and sales at CarMax stores from December 2017 through May 2018. Is your crew on the smaller size? November 2017 sales show these to be CarMax’s five top compact SUVs. According to sales and data from November 2017, CarMax customers think these crossovers are the perfect size. It is easy being green when you’re driving one of these top electric vehicles, gathered from sales at CarMax between November 2017 and April 2018. Hybrids are gaining in popularity with US drivers. Here are five top hybrids, based on CarMax sales in January 2018. For a list of sleek, stylish rides that pamper you with cool features, check out these used luxury vehicles, based on sales at CarMax stores between November 2017 and April 2018. We love muscle cars! Here are five of CarMax’s best used cars with heaps of horsepower, based on sales information collected between November 2017 and April 2018. Have you ever left something really important at home while leaving for vacation, or not have enough room in your suitcase for clothes? 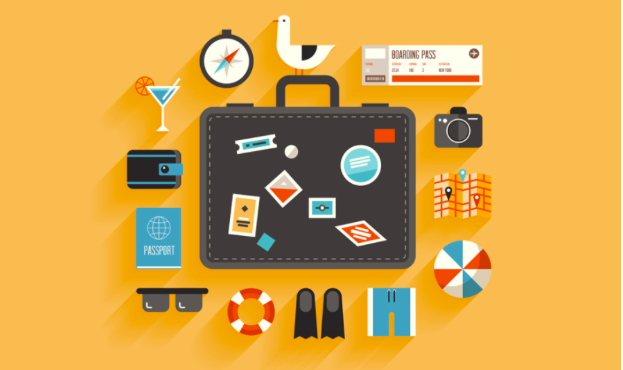 Here are some useful travel tips to help you out. Take half the clothes you think you will need…you won’t need as much as you think. Write down a list of essentials, cut it in half, and then only pack that! Do you ever run out of space while packing clothes? Instead of folding your clothes so they are flat, roll them, and you will see this method gives you so much more space. 3. Always have a backup plan. It’s important to have a backup plan as we all tend to mess up sometimes. You could forget renting a rental car, but you thought you did. You could get lost while exploring, or not have any WiFi to call anyone. Traveling is a lot of work, don’t think to yourself that nothing will go wrong, because that’s just not true. Book flights and hotels 2-3 months in advance in case they end up getting booked. Also, it’s a lot cheaper if you don’t wait until the last minute. Like I said, you never know what’s going to happen. Pack a flashlight and a basic first aid kit just in case. You or someone else could get hurt or the power could go out. Traveling takes a lot of time, especially in the airport. Those security lines are the longest, but just stay cool you’ll get there. There’s no need to rush, it won’t make you go any faster. As I said, the airport security lines are so long so you’ll need to plan out how long you think it will take to get through them, and when your flight is. It’s better to be there a little early and sit, then miss your flight because of a long line. 8. Don’t fall for the scam!! Travel scams are very common in famous places, that’s how some people get their money. Be cautious of people coming up to you and offering you something for money. Since you’re not familiar to the area you could think it’s not a scam and makes sense, but don’t fall for it because it most likely is! Wherever you are going it’s most likely the weather is different, so check the weather ahead of time. This will help you to know what clothes you’ll need, like if you need a jacket and boots or tank top and shorts. Then you won’t freeze or be to hot. This only applies to those traveling in the tropic areas and places where the sun can hurt you. It’s so important to wear sunscreen, most of us think it’s no big deal. The sun does so much damage to your skin if not protected from it, so do your skin a favor and wear sunscreen you don’t want melanoma.